gathers and shares Andover's unique stories to help build a connected and engaged community. Click here to learn about our new name! Board, volunteers, and staff enjoying the August 2016 Volunteer Potluck at the Log Cabin on the grounds of Phillips Academy. In its earliest years, Society members met in two rented rooms at 71 Main Street and in 1929 Miss Caroline Underhill donated the Amos Blanchard House to the Society for its headquarters. 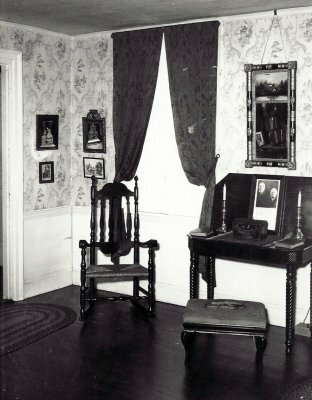 Miss Underhill retained life rights to live in the house, which she did until she passed away in 1956. While in residence, Miss Underhill gave tours, cataloged collections, and conducted research. From 1911 until World War II, the Society’s activities consisted of plays, musicals, pageants, historical lectures, loan exhibits, whist tournaments, and Washington’s Birthday Balls. Activity at the Historical Society faded during World War II. Board minutes of the time reflect the universal anxiety about the war. 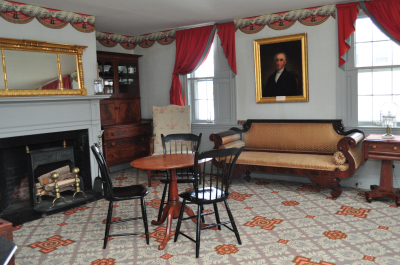 Washington’s Birthday Balls gave way to simple open houses. Communications from the Committee on Preserving Valuable Historical Articles warned about the impact of bombing on historic sites. The Blanchard House closed during the winter months due to fuel shortages. The Board discussed maintaining a list of active servicemen and voted to purchase a $500 war bond. After the end of the war, activity at the Society was slow to pick up again and didn’t reach its pre-World War II level until much later. The 1960s brought a new interest in preserving historical records. Microfilming was a new way to preserve materials, as was using voice recorders to capture oral histories of some of the town’s older residents. In 1969, the Society hosted its first Washington’s Birthday Ball in over 30 years, to mark the 150th anniversary of the Blanchard House. Interest in local history took off on a national level in the years leading up to and immediately following the country’s bicentennial celebrations in 1976. 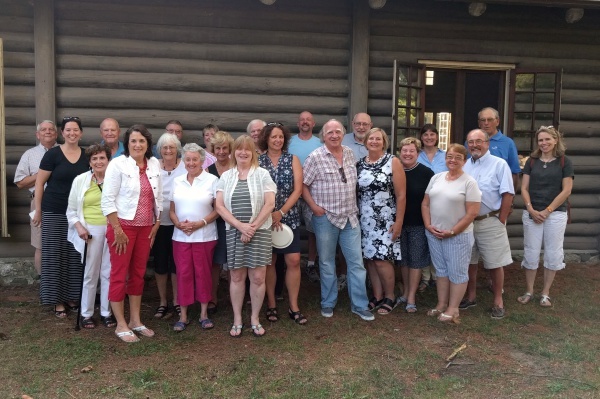 The dedicated members and volunteers of the Historical Society took advantage of new professional training opportunities and learned everything they could about best museum practices. The first paid resident Director-Curator Marsha Rooney was hired in 1978. Under her direction and those who followed her, the Society made great advances in museum and education programs. Together staff and volunteers researched the collection and house and developed exhibits, tours, and programs for students, families, and adults. 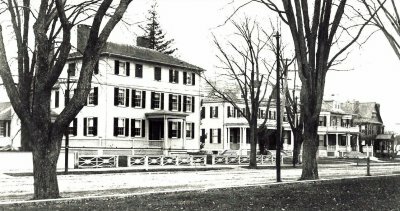 The passion for local history and preservation that led to the founding and early growth of the Andover Historical Society has been matched by the enthusiasm and passion of the volunteers and members who donate countless hours to the care of the Society’s collections and the Blanchard house. 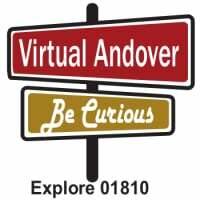 Now as we look back at a proud tradition of passion for preserving Andover’s stories, we look forward to sharing those stories in the Society’s second century. In May 2018, Andover Historical Society became the Andover Center for History & Culture. Today our mission is to be out in our community, actively engaging people in Andover's history. If you're curious, stop in! We would love to share an Andover story with you, and to hear your story.